Have you ever received a gift from a colleague you’re not quite sure what to do with? Well, you’re not alone. 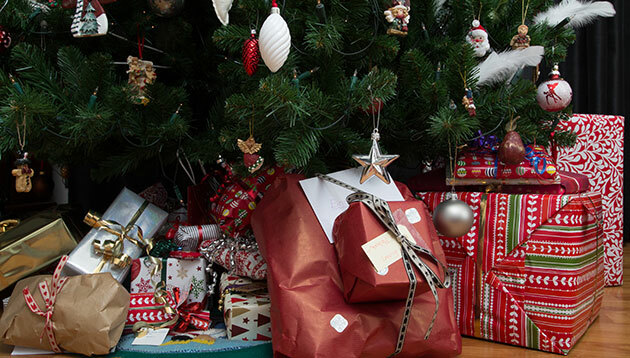 According to a study on 2,000 adults commissioned by Vistaprint UK via OnePoll.com, almost six in 10 people receive up to five presents each Christmas which they then never use. Common culprits of giving such gifts, include the in-laws, aunties, sisters, and (you guessed it!) work colleagues. The survey further revealed that when accepting these unwanted gifts, adults respond in a stereotypically British way – a third will graciously and politely say thank you, while 13% feign fanatical excitement and delight. One in six would rather hide the gift somewhere in the house rather than admit they don’t like it, and a quarter of respondents would re-wrap and re-gift to someone else. In fact, almost half will take the present to a charity shop so someone else can benefit from their misfortune. However, a resounding eight in 10 adults admit it’s the thought that counts when present giving – truly in the spirit of the season. On the flip side, when it comes to favourite presents, clothing, music and personalised gifts made the cut, while anything which has sentimental value, jewellery from a favourite store or gift vouchers were also always received well. The general manager shares the firm's approach to developing diverse talent and how a flat organisation boosts engagement. ..